Cristina Manos was born into this world half artist and half scientist. She’s been painting since she was ten years old. Growing up in a small Ohio town in the rust belt, and in a depressed economy, Cristina received no formal training in painting but was afforded piano lessons. Cristina went to college, and for reasons of practicality, allowed the scientific part of her mind to carve out a career as a pharmacist. Never giving up on her artist mind, she studied art on the side and continued painting. For the last 30 years her primary medium is oil on canvass with some acrylic from time to time. Cristina is most influenced by Salvador Dali, and many of the paintings she created throughout her twenties are a reflection of that. 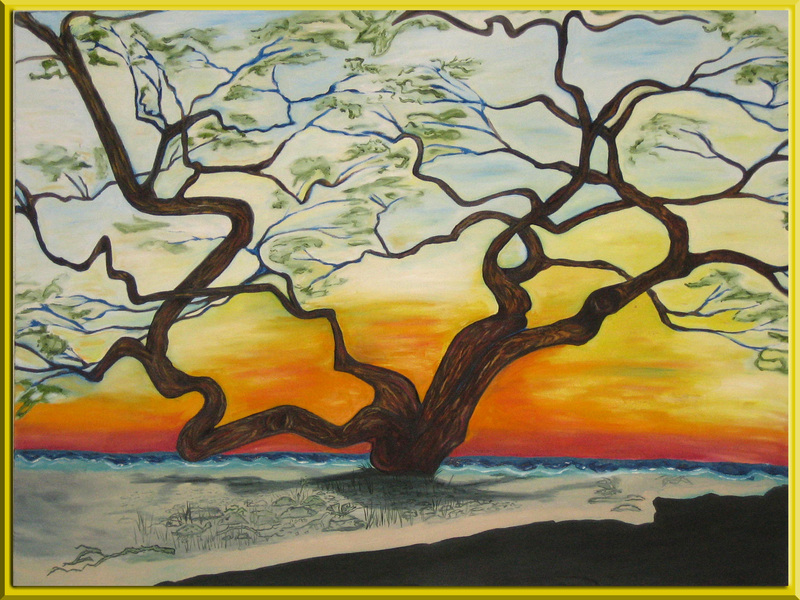 Her style has since diversified and she has a preference for painting trees and landscapes, turning photography into paintings, and has more recently started producing contemporary pieces. large amount of graphic artwork for flyers, merchandise, album covers, stickers, and promotional material. Cristina has recently moved to Colorado, and as the next chapter of her story begins she’s making her artwork available to her new community and passers through. This website is a portal into the artwork created in past and present, some of which is for sale. Throughout all of the phases of her life, Cristina’s work has retained the element of emotional depth. She’ll often have barely noticeable hidden faces in her paintings, or hidden symbolism. She paints from her huge heart. She has the ability to go straight to the soul without intending to. From her soul to the observer’s, her intensity combined with her compassion translates in her paintings.